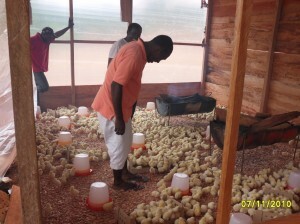 Management and Economic Consulting, Inc. (MAECI) launched a poultry project in Equatorial Guinea. 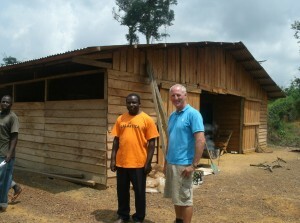 The poultry project is located on the Mongomo Farm, located in Mongomo, Equatorial Guinea. The Mongomo Farm is the site of the countries initial farm project with MAECI, which is a 750 hectare Corn, and Soybean farm and processing center The project was initiated with 1200 chicks that have been raised to full size. 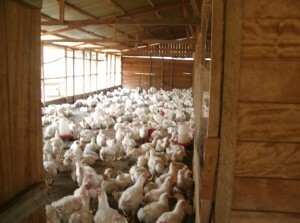 25% (300) of the chickens will be sold live in the towns of Mongomo and Bata. An additional 50% (600) will be slaughtered and frozen for purchase by the local restaurants, hotels and supermarkets. The remaining 25% (300) are egg laying hens that are estimated to produce 1200 eggs per week.